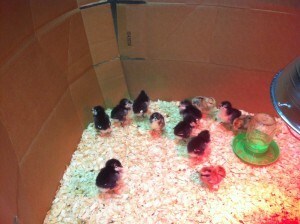 Our chicks and ducklings shipped yesterday (Monday April 16th 2012) and should be arriving tomorrow or the next day. So it was time to put together a couple of brooders. 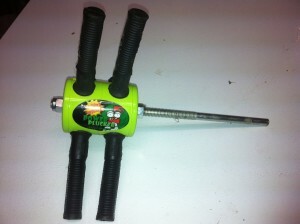 I needed one for the 20 or so chicks and one for the couple of ducklings. Baby chickens and baby ducks should not be keep together because ducks get the brooder very wet which can cause problems for the baby chicks. We ordered 10 Black Australorps for our laying flock, 10 dark cornish for our meat birds, and 2 fawn runner ducks. 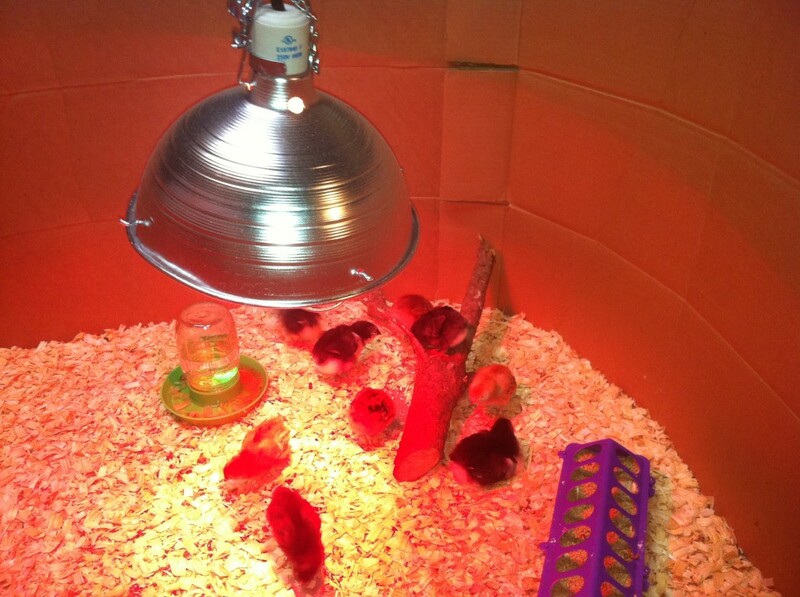 It’s a good idea to have your brooder set up in advance of getting your chicks so they can almost immediately be introduced to their new home, get warmed up, and get some water and food. This is especially important when ordering by mail as we did. 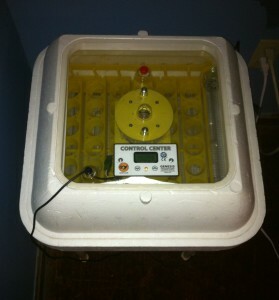 Chicks can easily become dehydrated so always have fresh water available for them. When introducing chicks to their brooder, dip their beaks into the water first. This is especially important if you ordered them through the mail. A common cause of chick loss is not eating or drinking soon enough. 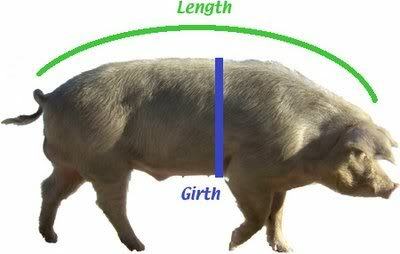 This introduces them to where their water is and once they get hydrated and warm they should easily find their feed. Add about 3 tablespoons of sugar or honey to each quart of water for the first day or two. This gives them an added boost of energy to get off to a good start. 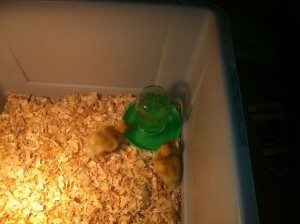 We use a watering base fitted with a mason jar to provide our chicks water. 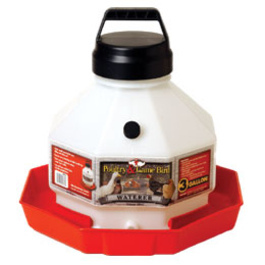 As the chicks get older and are drinking more, we will switch to a larger watering base style waterer. We will continue to use these waterers when the chicks move out to pasture, but we are planning on possibly trying out the Avian Aqua Miser chicken waterer. 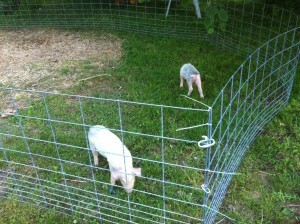 Last week we added 2 pigs to our homestead. 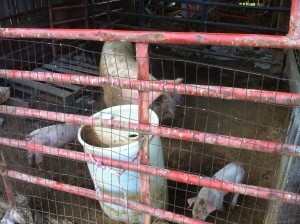 We have never raised pigs before so this will be a true learning experience for us. 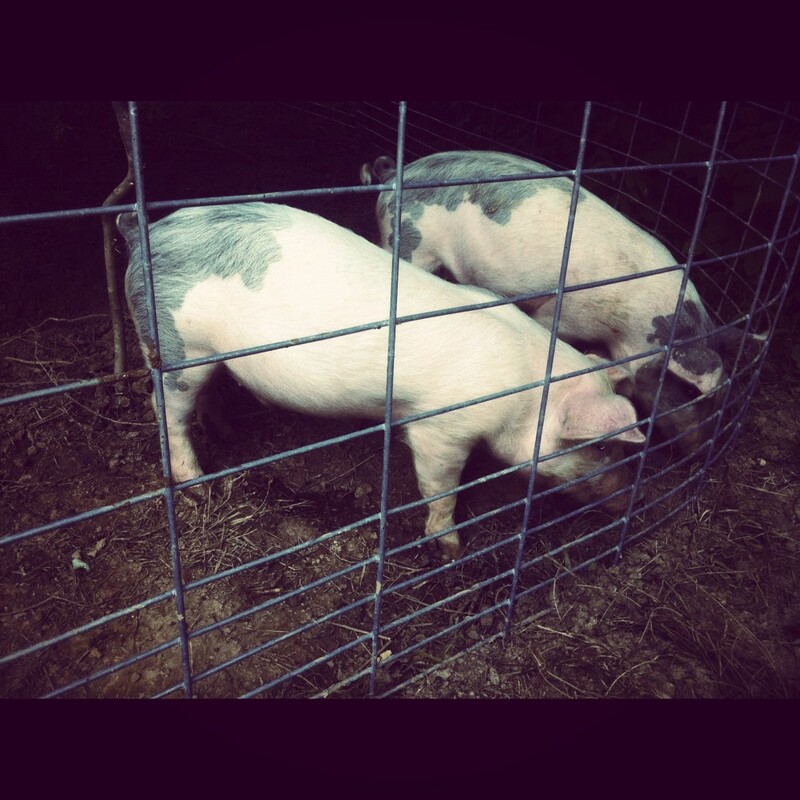 We found these pigs posted on craigslist. We purchased them for $45 a piece and the drive was about 1 1/2 hours away. We are well into 2014 and I’m ready to get back to blogging and documenting/sharing what we are doing again. In the fall of 2012 I took on a part time job as an adjunct professor teaching an introduction to World Geography online course. I’ve been teaching 1-2 classes each semester including summers since then (in addition to my full time profession). 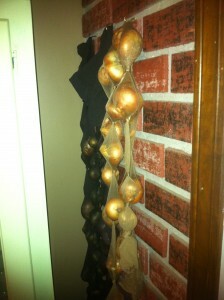 This has taken up a lot of my extra time that I was using to focus on the blog. This might be the last semester for me. Teaching, though rewarding, just isn’t for me. 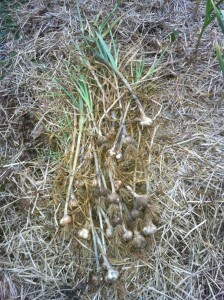 During this time, activities on the homestead didn’t stop. I had many things to share, just not enough time. I have a revived feeling of excitement to start blogging again and focusing more on building our micro-business from products and services of our homestead. 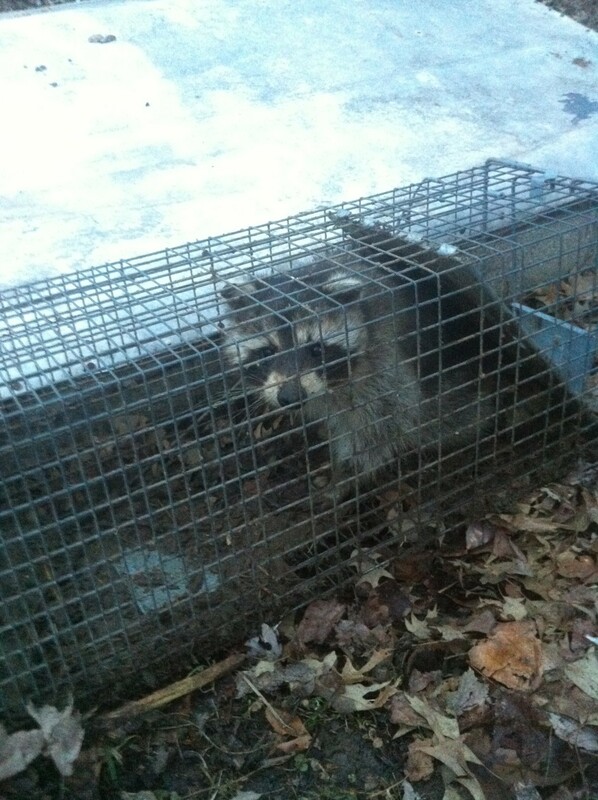 The photo is a raccoon I trapped recently. Over the winter we have lost 2 ducks and 1 chicken. 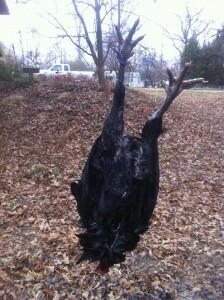 This guy showed up at the chicken coop on the wrong night. I gave him to a friend who is a trapper. I included the photo to symbolize how I felt at times (trapped). I’m glad I was given the opportunity to teach, but in my heart I knew I wanted to be writing on my blog and working more on homestead related activities.